Should I Go For WordPress Or Joomla Web Development? In this internet-driven world, the value of having a quality websites gets bigger than it ever was. You should thus be careful in choosing a right content management system (CMS) so that keeping pace with the world never goes out of hand. At present, there are several platforms out there and you might feel confused in choosing the best from the lot. You should rather look to select a CMS that fits the bill perfectly and helps you meet your goals in an easy manner. So, you are not sure whether to go with WordPress or Joomla? Worry not, as this problem is not new and many face it, or have already faced this. Since both the platforms deliver ease of ease, come with excellent customization prospects and have a super active community, you’re bound to feel perplexed a bit. Further, both the platforms come with their respective pros and cons, you can select either to get a functional, powerful, modern and feature-rich site developed. But yes, you first need to compare them on a set of criteria to get clarity over which is superior of the two. Unless we look at certain key criteria, we won’t be able to do a comparison between WordPress and Joomla. This is how we’ll be able to understand which of the two actually is more helpful for certain situations and vice versa. While WordPress is known for its all-round simplicity, Joomla excels for a unique kind of complexity it brings. That said, when it comes to managing and updating content, we know which one is easier and why. From creating posts to pages, everything is just so simple with WordPress. So, when you look for have a CMS based on its ability of content management, there surely can’t be anything better than WordPress. When we look at the customization support and experience available with each of the CMS separately, we find WordPress to be superior purely for its range of plugins on offer. You should also know how WordPress themes deliver better results than Joomla templates when it comes to customizing the style of your site. This way, you find WP a better option to go with for customization purposes. 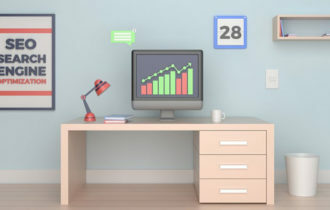 We know how much value SEO has for websites today. We should thus look to compare SEO capabilities of both the platforms and inch closer to finding their suitability. This is best done by looking at SEO plugins or extensions that both of these platforms have. We know WordPress has Yoast SEO plugin while Joomla, Easy Frontend SEO (EFSEO). The former is more powerful and offers more features when it comes to search engine optimization, thus giving WordPress an edge here. When it comes to security, it’s Joomla that takes the edge over WordPress for features and functionalities it carries. 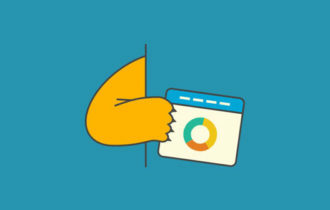 It has an edge for offering own set of own set of security extensions and coming with Secure Socket Layer (SSL) connection on its dashboard and Two-Factor Authentication (2FA). 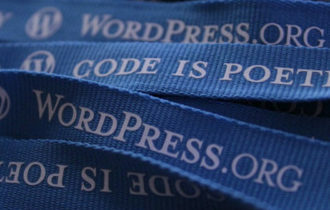 WordPress fails to offer that and does not come good due to its many security vulnerabilities. 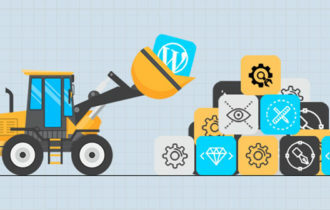 In overall, we can see how you’d be better off in hiring an experienced WordPress development company for your website. Sarthak Sharma is an aficionado of writing. He is an expert writer and blogger. He shares his views and opinions on a range of topics such as Business, Technology, Apps and lot more. He works for Mind Digital and helps you find the best web development companies in India.